Hey Everyone! So today I am back with another beauty review for you all. 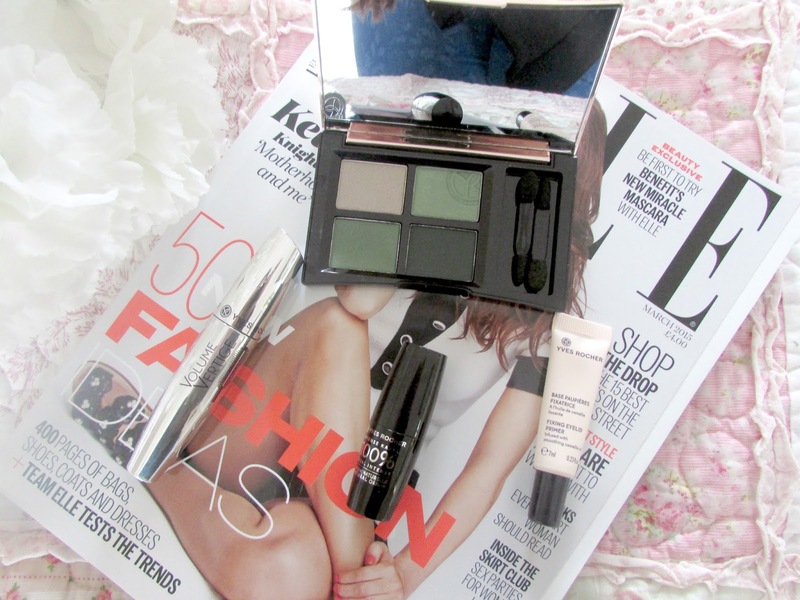 A couple of weeks ago I was contacted by the brand Yves Rochers and asked if I would like to review a few samples regarding creating the perfect smokey eye. 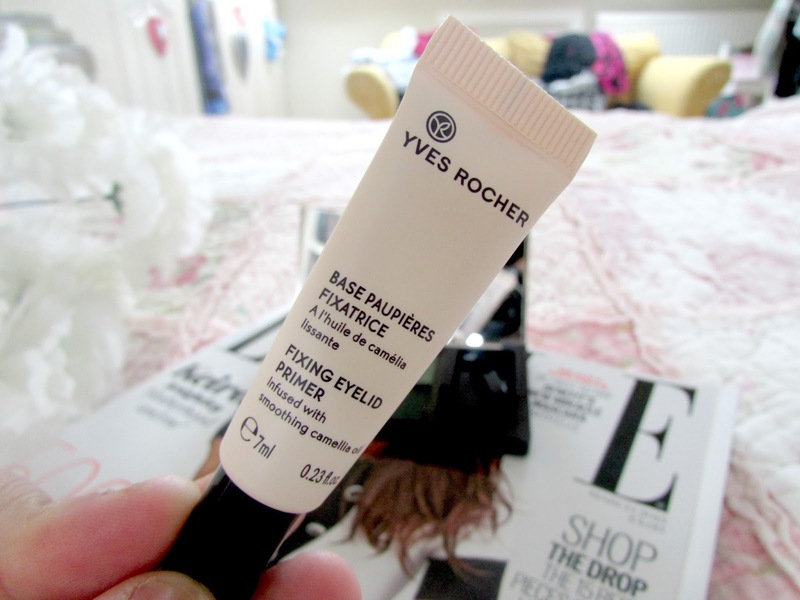 Yves Rochers is a brand that I have heard quite a bit off thanks to my Mum. I've tried a couple of their products in the past and I have been quite impressed. Yves Rocher is a french brand that sell their products in over 88 countries! I was truly thankful when they asked me if I would like to review a few products so keep on reading to find out more about the products that I was very kindly sent. 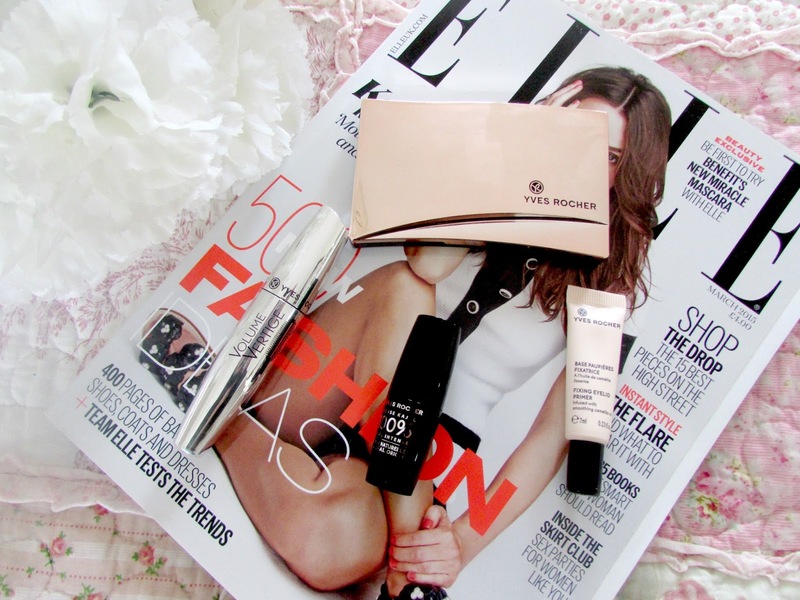 When it comes to eyeshadow primers I've never really used them. There's no reason for it I just find my eyeshadow normally stays on okay without it. However I absolutely love this particular primer. 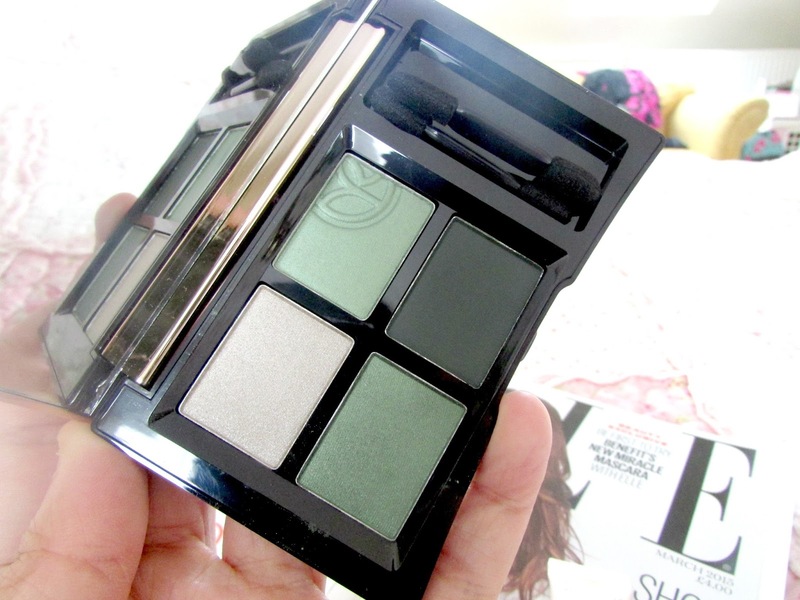 I find that it really smooths my eyelids which makes it easier for the shadow to just glide on. It keeps the eyeshadow in place all day and I also find that the colour doesn't really get duller throughout the day which I absolutely love. If you are interested you can find it on the website HERE. First of all just how beautiful is this quad eyeshadow palette? If you've been following me on pinterest then you will know that I've developed a slight obsession with rose gold/copper coloured things and I love the fact that the packaging is that colour. It's just so beautiful. I also love the colours contained within the palette too as it's definitely not something that I would have chosen for a smokey eye. There was an option to receive three different colour quads and I had no idea what I would be receiving but I absolutely love this one. I also love the fact that it's got a huge mirror as well which is perfect for touching up any make up on the go. 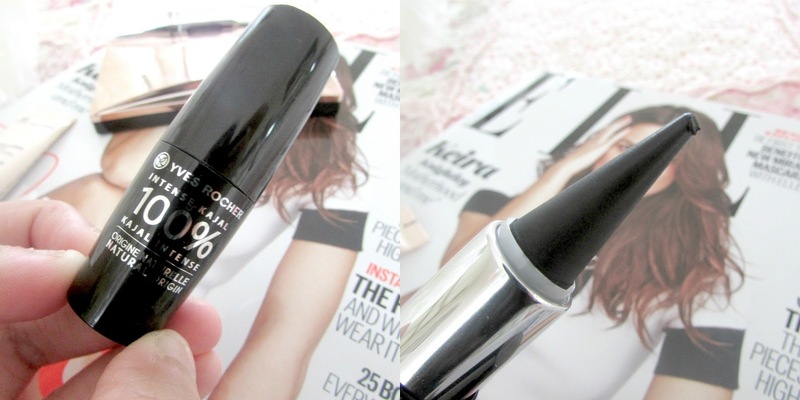 This will definitely become a staple in my make up bag. When it comes to creating the smokey eye there are some simple step by step instructions that I have found on the website for each of the colours. 1. Highlight the entire eyelid (mobile and fixed), applying color no. 1 using the double-ended foam brush. 2. Apply color no. 2 to the entire mobile eyelid. 3. Sculpt the eye, applying color no. 3 along the edge of the upper lashes in the outer corner. Progressively spread the shadow upward to get a perfect gradation and a blended effect toward the outer part. 4. Underline your eyes with shadow no. 4 as a liner along the edge of the upper and lower lashes using the beveled tip. 5. Finally, add a touch of light with the highlighting shadow (no. 1), applied by dabbing in the eyebrow arch and inner corner of the eye. For a more intense look, apply the texture wet—slightly dampen the applicator before using. Obviously when using this palette I used my own eyeshadow brushes but I think these shadows are amazing. So pigmented, incredibly easy to work with and also long lasting too. I'd highly recommend it. If you don't like the green quad then you can choose from a range of other colours HERE. 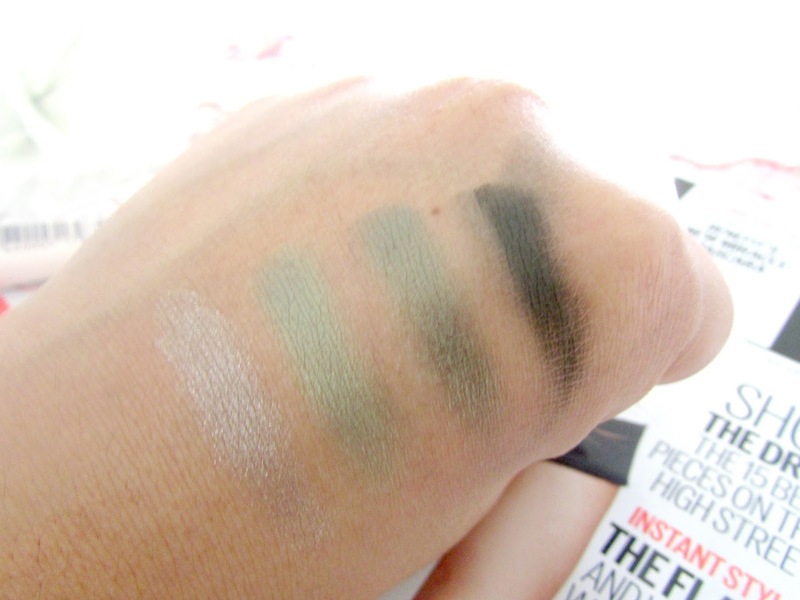 Below are the swatches for the eyeshadow. Now I'm not going to lie when I first saw this I thought it was a lipstick and then saw it was an eyeliner. I don't know about you but I've honestly never seen anything like it. It's just so unusual. I will be honest here and say I'm not keen purely because I find it really difficult to apply. Once it's on I find the pigmentation absolutely amazing and it just glides on too. I just wish the application process was easier! 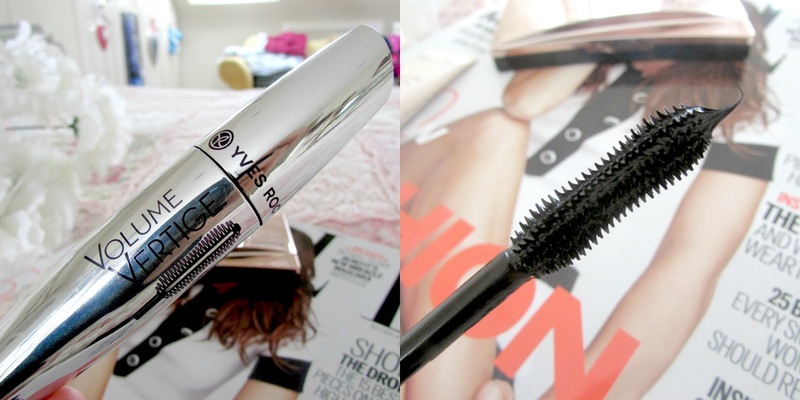 I could go on about this mascara all day I just absolutely love it. Much like the Benefit Roller Lash it produces the most stunning curl for my lashes. The wand is brilliant and just separates my eyelashes incredibly well and the curl lasts for absolutely ages. I just love this mascara so much. It contains a formula that is contains a fixed botanical extract. This leaves the lashes looking and feeling amazing. I also love the when it comes to removing the mascara this is the easiest one to remove that I have ever used. Out of all the products I was sent I'll definitely be purchasing this one once it's run out. I just love it. So there we have it. All the ingredients you need to create a perfect smokey eye. I did take a couple of photos of the look on me but unfortunately I'm just not comfortable sharing the photos as I'm not really confident with my eye make up ability to share it all with you. Be sure to head on over to my instagram though where hopefully I be posting a photo soon. You can find me at xbellefleurx. Lastly I'd just like to say a big thank you to Yves Rochers for giving me the opportunity to try these amazing products. I'll definitely be trying out more of their products in the near future. Have you tried Yves Rocher products before? What do you think of the brand?